Milking a cow, it turns out is an art. It is a dance of rhythm and gentleness and strength. And aim. My appreciation of all milk products has increased immeasurably. 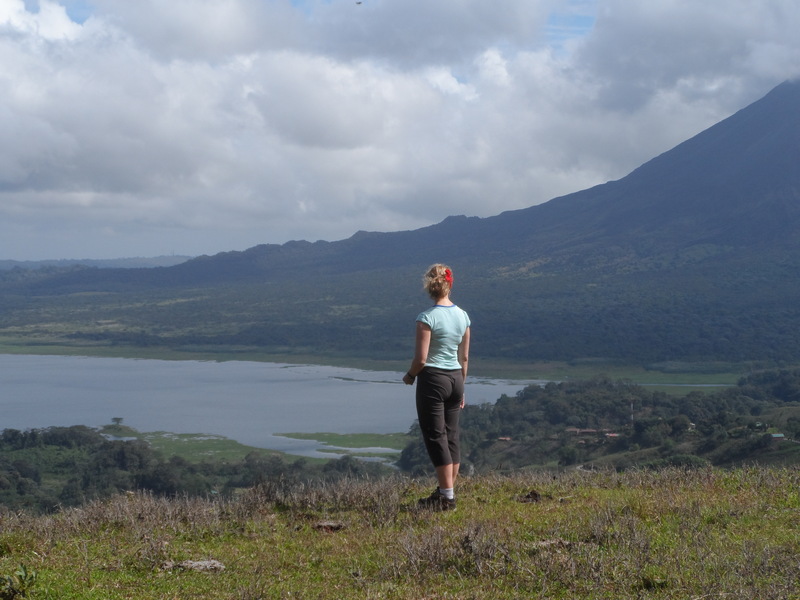 In the sunny morning, we walked again to the mirador and got a view of the volcano and then down through the village past horse farms and backpacking hostels and the butterfly conservatory and the snake zoo. My appreciation of sunscreen in these 2-1/2 hours of hiking has increased. As has my appreciation of the detail (see the seed eyes), creativity (both sea turtle AND swan?) 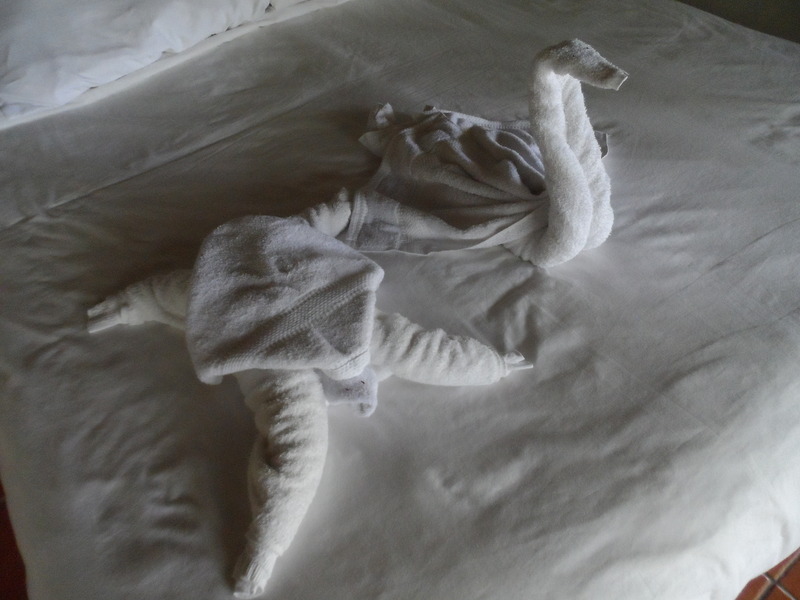 and transience (Frank showered right after this shot was taken) of towel art.